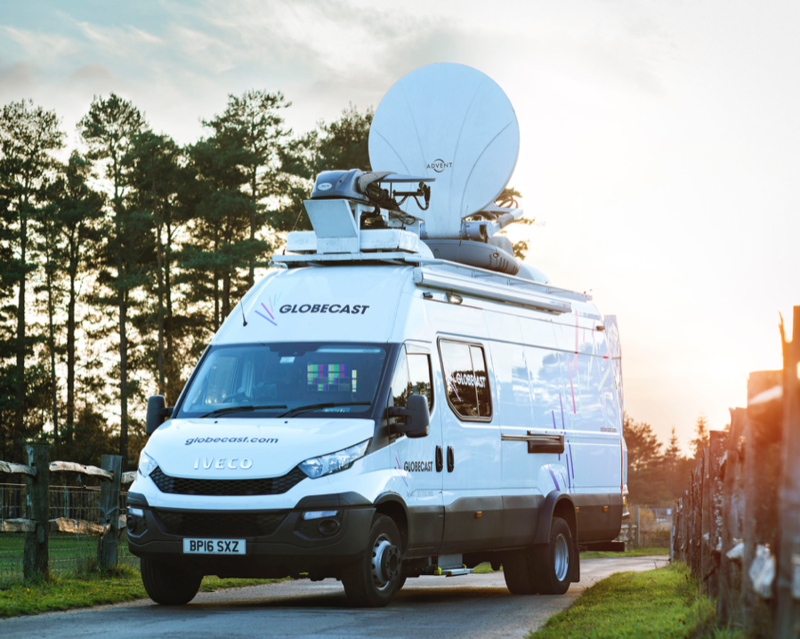 Globecast launches Globecast Live which offers any event to any screen enabling customers, both broadcast and B2B, to benefit from a fully integrated contribution and Digital Media Hub (DMH) content processing workflow. Globecast's turnkey live content solution for media takes any event to any screen from major sporting competitions to smaller-scale B2B events with its DMH cross-platform suite of content publishing services. Globecast Live handles any video format. Two-way communication with those in the field, live video and intercom, is also available, as well as file transfer. Content can also be stored and made available for later use via Content Marketplace, which is part of DMH. Globecast offers a range of cost-effective contribution solutions that can be quickly and easily deployed. From the M’ICar (small vehicle) offering a hybrid of cellular bonding and Ka-band satellite connectivity through to a complete range of fiber and/or satellite connectivity solutions that can be tailored to any event. Liz McParland, Commercial Director for Contribution and Global Coordination, Globecast, said that they have taken more than 20 years’ experience in the live content acquisition market, working across sport, news and special events, to create a turnkey suite of live content gathering services that can be used in conjunction with Digital Media Hub. This means they can offer end-to-end live video solutions for any and every occasion, tailored to each customer’s requirements and available from a single supplier.